The associate director for Translational Research is appointed by and reports to the director of the Lurie Cancer Center. The position is responsible for the development and coordination of translational research efforts within the Lurie Cancer Center. 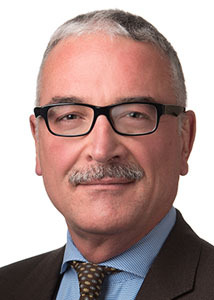 An expert in the translational research and treatment of patients with inflammatory breast cancer, Massimo Cristofanilli, MD, is a professor of Medicine in the Division of Hematology/Oncology at Northwestern University Feinberg School of Medicine. Cristofanilli has led the development of novel diagnostic and prognostic markers in primary and metastatic breast cancer. His research is focused on advancing a patient-centered, biology-driven model of cancer care, combining sophisticated tissue and blood-based molecular diagnostic technologies and innovative treatments. Prior to joining the Lurie Cancer Center, Cristofanilli was director of the Breast Care Center and deputy director for Translational Research at the Sidney Kimmel Cancer Center at Thomas Jefferson University. He previously served as chair of the Department of Medical Oncology at Fox Chase Cancer Center and executive director of the Morgan Welch Inflammatory Breast Cancer Program and Clinic at the University of Texas MD Anderson Cancer Center.